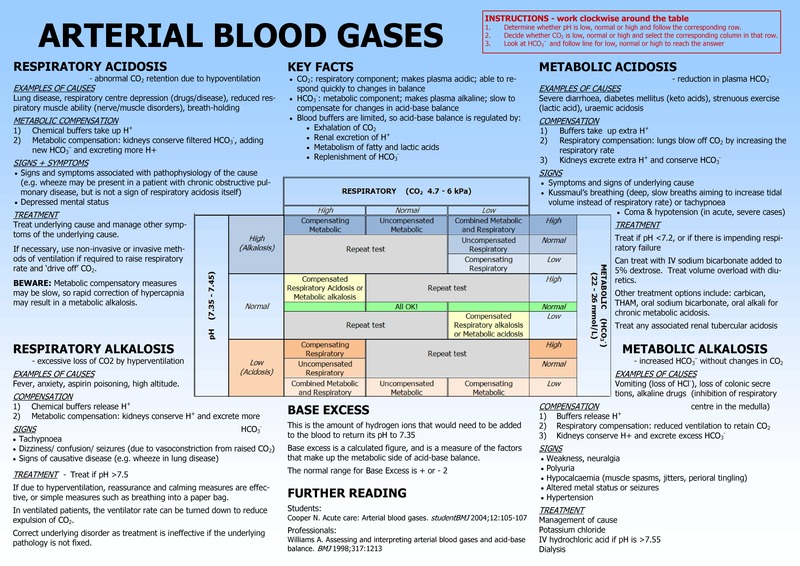 Under "Respiratory Alkalosis - Signs" should it not read "... vasoconstriction from DECREASED Co2". All the key ABG interpretation points on a single page - very useful both for revision as well as on clinical attachments. Thank you for sharing. - Whether you’re starting medical school or beginning your second year, this post is for you. What's the hardest thing about being a medical student? Upgraded to £50 for founding lifetime membership but can't see any different from my free account!